I have a thing for gray inks. 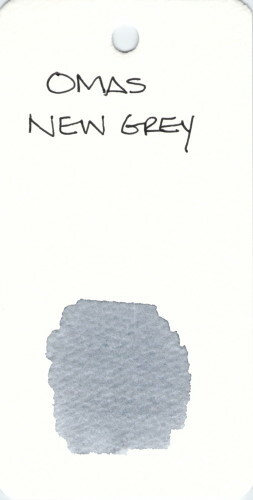 Omas New Grey is a nice light grey ink – maybe a little too light? This entry was posted in INKS and tagged gray, grey, ink swab, omas by Christine (Pentulant). Bookmark the permalink.